Consulting is dedicated to supporting organizations maximize their business value. Our business model is tailored to bringing value to the customer by offering superior technology consulting and solution services. We have the capabilities to provide end-to-end solutions in a flexible model of engagement and delivery - onsite, offsite, offshore or in a hybrid mix. Our offshore partners (ISO 9000) have state-of-the art IT infrastructure resources to deliver quality projects using the industry best practices and proven project management methodologies. Binary Consulting knows that when you hire a consultant on contract or outsource your IT needs, you need a long term partner of choice with the right skills to start work without a learning curve and continue to work towards helping you achieve your business goals. We can quickly ramp up a project team as we have a database of highly skilled professionals. Our innovative sourcing techniques enable us to tap the top talent in the industry. 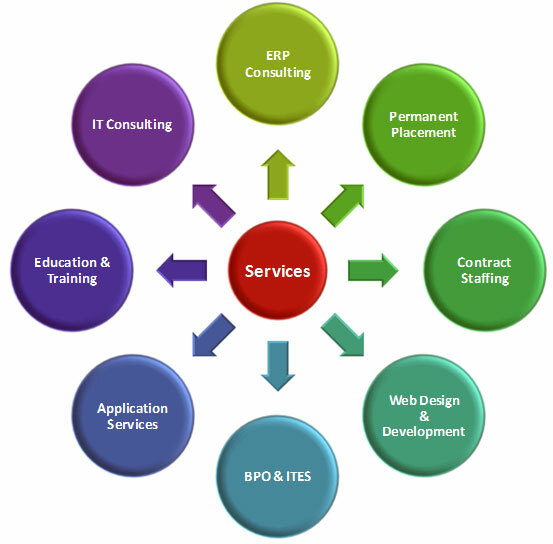 We provide the following services.